"I ended up with you, through the Alexander Institute in Venlo. My doctor there concluded that I am very sensitive to radiation, and alerted me to the possibilities at Floww Company. Being as therapy loyal as I am, I ordered screenFloww and mobileFloww the same day. As entrepreneur, I work a lot at the computer and make many calls on my mobile phone too. Since using these two Floww products, I can work a whole day behind my computer, without headaches, concentration problems, watery eyes, etc.and I can call as much as I want without getting a headache after a long call. Amazing!! Now I really ordered pocketFloww as well because the two other products are doing me so well". After a construction biological research on geological interference zones, electric fields and electromagnetic radiation, a homeFloww set was installed and after one week the test were done once again. • electric alternating fields with very high values in the sleeping and work areas. (Power current, transformer houses and power lines for trains and trams, are not in the nearness). In the neighborhood there are 2 WLAN and 3 wireless base stations (telephone towers have a wide range), as electromagnetic radiation. The measured values for the bedrooms where too high, in relation to building biological guidelines. • The high-frequency radiation could no longer be determined by means of test tubes. • The geological interference zones were detected only minimal with differentiated measuring instruments at least in sight, which was found to be comfortable (I think it's better if the geological conditions are detected minimal, as if they were completely eliminated). "As a gynecologist, I am working in a busy practice. In the university hospital where I worked, I made policlinical days on which I saw a patient every 10 minutes. I am behind my computer all day to retrieve data, make input, etc. At the end of a day, I felt tired and stressed out. I thought that was usual because of my activities. When my husband gave me a screenFloww as radiation protection from the screen and said that could help, I was very skeptical. With some reluctance,I took the screenFloww with me. I tried the screenFloww for a month. During that month, I have tested the screenFloww extensively. I had put the screenFloww in my agenda and that agenda I laid in front of my computer. From day one on, I felt marked improvement! I remained skeptical. I thought that is coincidence. This good, vital feeling remained after every day in the polyclinic. However the doubts remained. At the end of the month, again on one day I felt "empty". Now you see, I thought, influencing of frequencies is not possible. However, screenFloww was not in my agenda on that particular day! When the next day, with screenFloww, the empty feeling was gone again, I was convinced. I still notice the effect: through the screenFloww, I still experience a healthy fatigue, but the stressed out feeling, I do not experience any more". The working of the Floww products, prompted me to follow the biophysical medicine education this year. I am very curious how I will integrate the biophysical medicine and Floww in my daily practice as a gynecologist". "The medicine is on the threshold of awareness and recognition that non-ionizing radiation constitutes a significant health risk and must be considered as a relevant pathogenic agent. Within the complementary medicine, this is assumed for years already. Within the common medicine for centuries, this has been the case. In the common medicine, it was mainly about natural occurring radiation on which individuals with health problems react. Traditionally is tried to limit the influence of unwanted radiation, by means of shielding. The range of measures that have been applied over the period, is very extensive varies from rational to extremely bizarre and exotic. Floww products are unique in their intention to bend the effect of undesirable radiation from negative into positive, rather than to block it . Although still a lot of research is needed, both to the effectiveness of the products as to the underlying physical principles, the first results in my practice are very promising." 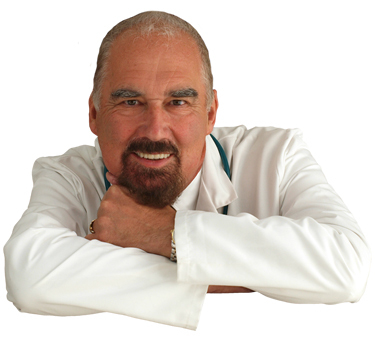 Nico Westerman is the author of two books, "Bio-energy" and "Biophysical medicine". "A new idea - the Floww-field"
I have tested Floww products for more than three-quarters of a year. The working of the Floww fields work on the "system human" not only shielding but also very active stabilizing and constructive. Moreover, the CE marking of the system and the recognizable scientific background of active ingredients that are proven in reliable test series, to me are a very convincing argument. In the area where the B.A.T. trainings are held, participants in the initial trainings program are exposed eight days to both the, out of the window visible, antennas as well as to the invisible Floww field. Here it comes again and again to perceptive observations. Participants also know the structure of exposure of course, still they are very surprised after two to three days, that they, especially late in the afternoon, still are concentrated and receptive to impressions and do not feel tired. This leads me back to the full effect of the Floww field, because we had previously installed a different system. Then these positive signs were not noticed. In the patient circuit, there are clear indications that certain therapies can be deployed more effective by the home-equipped Floww field or even only by the sustainable use of pocketFloww. It is clear to all energetic active therapists that the successful therapy is only possible, if the by me as "nuclear or elementary-fault" defined areas of geopathy, electrical and high frequency loads stay away from the patients, if practice areas are also interference-free zones and if possible a personal Floww field is a permanent companion. The result is a very interesting symbiosis.